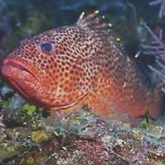 Parrotfish and Lobster are in closed season from 1st May. Failure to comply carries a maximum fine of $50,000. Congrats to the Ministry of Agriculture, Fisheries and Barbuda Affairs team on capturing Second Place. 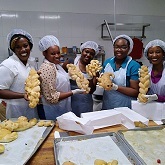 The workshop aimed at providing the skills to add value to local starch in the sweet potato and cassava value chains has been hailed a success. 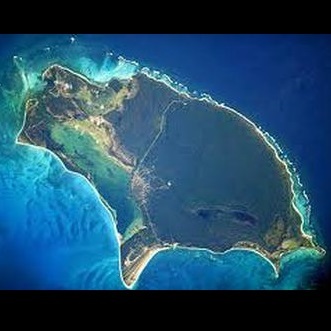 Barbuda has become an area of interest for those who seek to preserve and sustain shore and reef environments. National Celebrations to mark World Environment Day were met with much enthusiasm. Wednesday 5th June is World Environment Day - what will you do to support it? Celebrate National Agriculture Week from 26th - 31st May, 2013. Check out the full of schedule below. 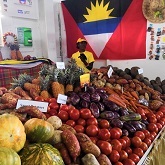 A team of four is representing Antigua and Barbuda at the 42nd Agro Fest slated for this weekend at the Ruth D. Lang Food Fair Grounds in St. Croix. Ms. Amanda Tappin, Ms. Pineapple was crowned the queen of the 2012 Ms. Agriculture Pageant. First runner-up went to Melissa McLeish, Ms. 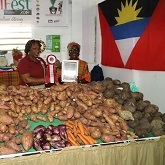 Carrot and second runner-up to Arlette Chastanet, Ms. Sweet Pepper. 2012 CWA launches a project to strengthen ICT use in agricultural value chains in the Caribbean.